What’s exciting for businesses in this release? Patching is one of the most important tasks for a systems administrator. It is a challenge to keep systems patched even more so when you consider the myriad systems, software and hardware products that are in use today. 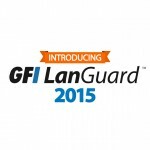 GFI LanGuard makes life easier for the sysadmin by automating the process. However, patching is not a one-off chore. New vulnerabilities are identified every day; and this is why GFI LanGuard delivers enormous value to our customers – by providing them with continuous product updates via the built-in auto-update system. Unless those all-important vulnerability and patch definitions databases are up-to-date all the time, sysadmins will not be in a position to keep track of the latest threats and keep their systems fully patched. Are there really that many patches to be aware of? In the last six months we extended our patch management support for nine new third-party applications, including Nmap, UltraVNC and XnView. You can find the full list of supported applications here. In total, 2,882 new patches were released to our customers in the same period, which means an average of 480 new patches per month. This is the number of patches that could be missing, depending on the environment. If one month is skipped, a sysadmin could find himself with potentially over 400 missing updates. That is quite scary. The latest updates in GFI LanGuard 2015 have allowed us to extend our patching support to new and important products – critical for overall network security – that we were not able to support in previous versions. These include Apache Web Server, MySQL, VMware Player and VMware Workstation, among others. We will continue adding to the list in the coming months. 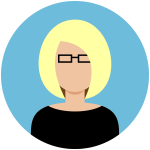 Have you added other features? Yes. What many people often forget is that it is not only software that needs to be patched but hardware as well. The media recently reported a DNS hijacking vulnerability in a D-Link router and possibly other devices. This should be a reminder to everyone that a network is as vulnerable as its weakest point and therefore network devices such are routers, printers and switches must not be ignored. GFI LanGuard 2015 adds support for a large number of D-Link devices, bringing the number of devices that you can patch with GFI LanGuard to nearly 2,700. You can find the full list of devices here. Another interesting feature is the enhanced integration with Active Directory. We have added a new wizard that enables customers to fully synchronize GFI LanGuard’s view of the network with their existing Active Directory infrastructure. This includes automatic cleanup of the GFI LanGuard database from computers that were removed from Active Directory, thus improving the view of the network infrastructure and enhancing the use of license slots. What can we expect from GFI LanGuard in 2015? We will continue to extend our support for new applications and devices throughout the year. We are also working on a new web interface that will allow us to introduce features in GFI LanGuard that our customers have requested. These are, among others, remote access, ability to centralize results and generate reports across multiple GFI LanGuard installations, improved scalability, user roles and permissions and concurrent access for multiple users. For more information about GFI LanGuard or to try the latest version free for 30 days, click here. Thank you Christian for the post. 3) After setting alternative credentials for GFI LANGuard to use, somehow it still uses the currently logged on user to perform some tasks. If the currently logged user is not an administrator, those tasks fail and the user is constantly locked out. I will appreciate if you have some advice or solutions to those challenges. 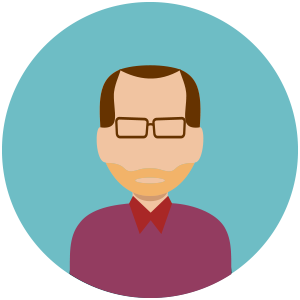 Would you be able to please create a ticket at http://www.gfi.com/support/technical-support-form so one of our technicians can investigate and provide you with feedback to be able to fix the issues mentioned in the first three points? With regards the other two points, a web interface for GFI LanGuard is in the works. A BETA version will be available in the coming months and, if interested, you can join our BETA program to be able to provide us with feedback. Let me know if this is something you would be interested in. Thank you Melanie for your response. Yes, I would like to join BETA program. What do I need to do?